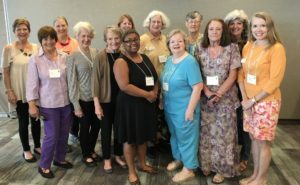 Since joining the garden club in 2015, I have seen how far this club has come in so many ways in such a short amount of time. 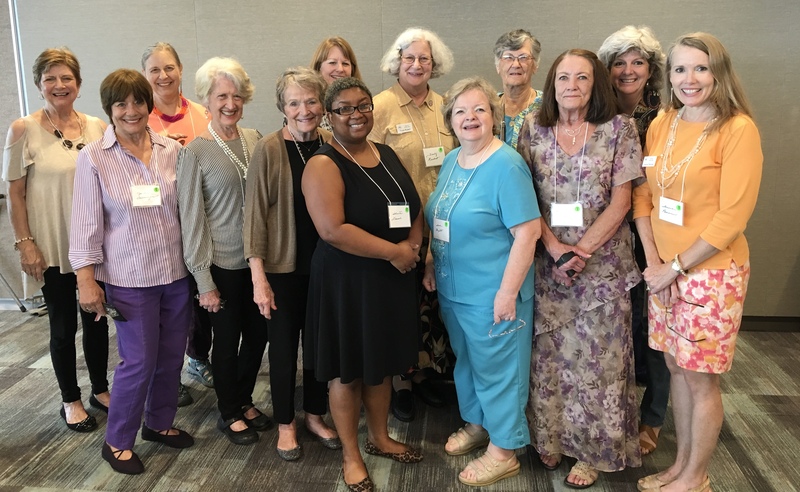 If you think a garden club is just a bunch of biddies sitting around drinking tea and occasionally planting flowers, think again. The membership has grown significantly (with one of youngest members just having a baby in February 2019), the cottage has been updated with new electronics, sprinkler system, garden art, and the list goes on. The programs have become innovative, varied, and the schedule accommodating to those who work. Events held in and around Atlanta are brought to us as a way to open our minds, our eyes, and hearts to plant life and healthy living. Trips are planned and made available to anyone willing to join. Many members contribute to this success. One member stands out however. Our current president, Leanne Penman. Her hard work has payed off in spades. 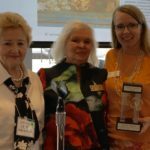 She was honored with Dynamic Dogwood Woman of the Year at the 60th annual Dogwood District meeting in October 2018. 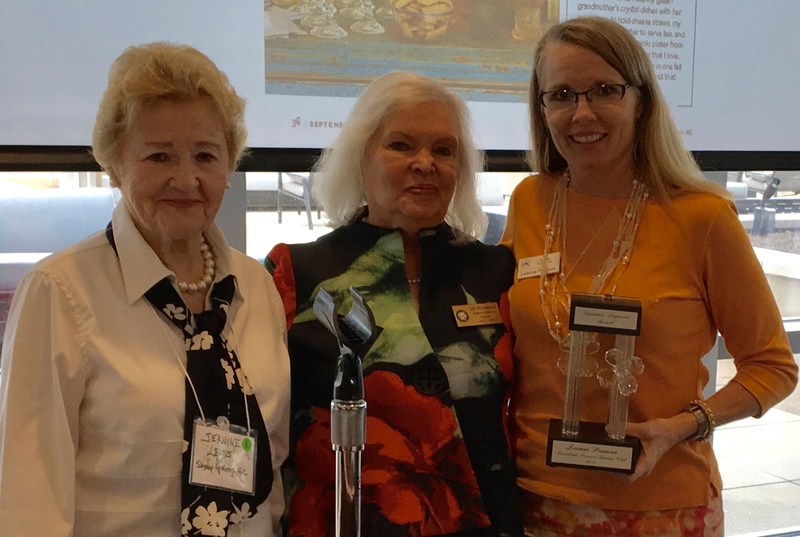 In September members Trudy Rudert and Theresa Stoker submitted Leanne's name to the Dogwood District on behalf of the club. In attendance were many club members. Way to go Leanne and THANK YOU for making this club the welcoming, nurturing, happy, supportive, fantastic social club around Atlanta.